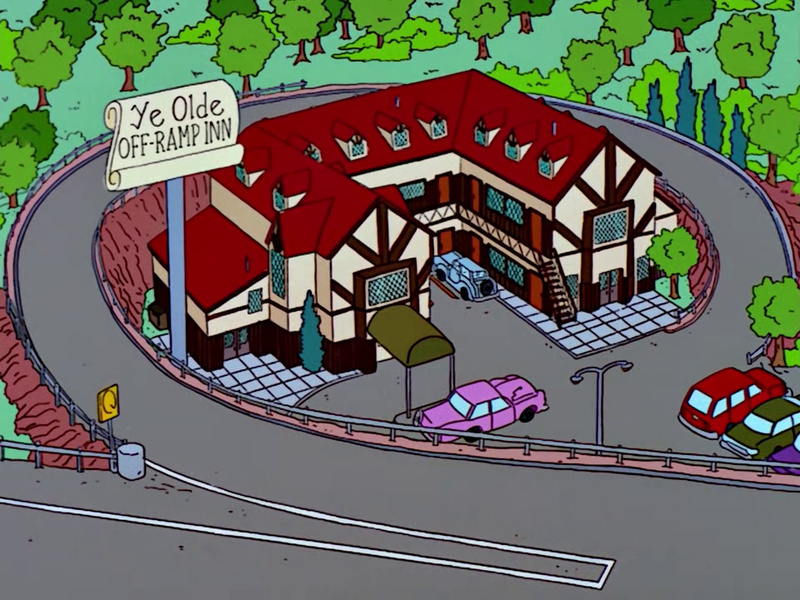 Ye Olde Off-Ramp Inn is a motel in Springfield. It is located just off of the freeway, at the base of an off-ramp, whence it derives its name. Homer and Marge stayed at the 'Inn when they treated themselves to a romantic evening away from the kids, hiring a babysitter while they went to dinner and then to the Off-Ramp Inn. Their night was cut short, however, when Marge called home to check on things and got worried when no one answered the phone. The whole Simpson family tried to stay there after their house became infested with termites. The inn once hosted the Little Miss Springfield Pageant, which Lisa Simpson won. Ye Olde Off-Ramp Inn does plenty of business. Its parking lot is often crowded, due to the fact that many of the guests have trouble finding a way to get back onto the freeway. 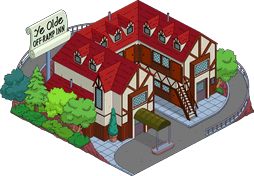 In "The Simpsons: Hit & Run" the inn is located near the Springfield Observatory. In Level 3, Krusty is staying at the inn and he can be spoken to using the doorbell. 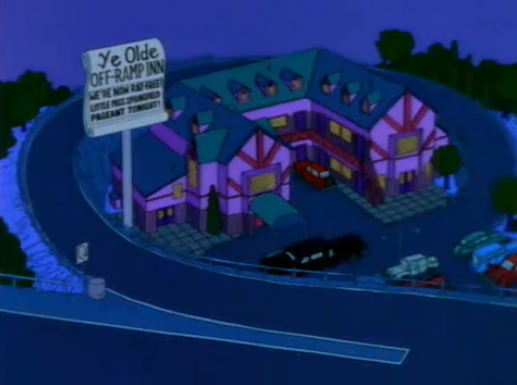 In 2525 a new Ye Olde Off-Ramp Inn opened in Springfield with the name "The New Ye Olde Off-Ramp Inn". 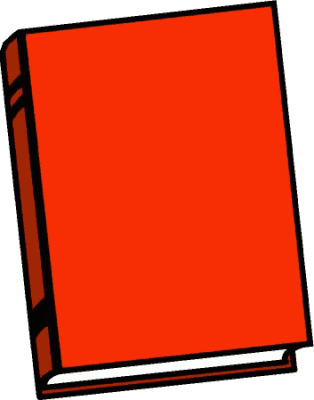 Modified on September 22, 2017, at 11:45.